This article is about the Irish language name of both the island and the state called "Ireland" in English. For the Irish State, see Republic of Ireland. For the part of the United Kingdom, see Northern Ireland. For the physical island, see Ireland. True-colour satellite image of Ireland, known in Irish as Éire. 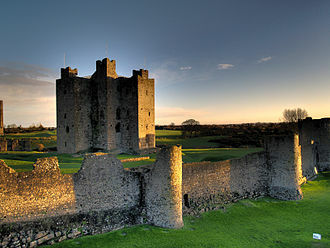 Éire (Irish: [ˈeːɾʲə] ( listen)) is Irish for "Ireland", the name of an island and a sovereign state. The modern Irish Éire evolved from the Old Irish word Ériu, which was the name of a Gaelic goddess. Ériu is generally believed to have been the matron goddess of Ireland, a goddess of sovereignty, or simply a goddess of the land. The origin of Ériu has been traced to the Proto-Celtic reconstruction *Φīwerjon- (nominative singular Φīwerjū < Pre-Proto-Celtic -jō). This suggests a descent from the Proto-Indo-European reconstruction *piHwerjon-, likely related to the adjectival stem *piHwer- (cf. 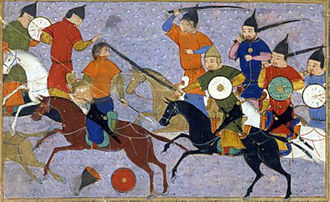 Sanskrit pīvan, pīvarī and pīvaraand Persian parvar(پروار) meaning "fat, full, abounding"). This would suggest a meaning of "abundant land". ì (island) + thairr (west) + fónn (land), which together give ì-iar-fhónn, or "westland isle"
This is similar in meaning to the Norse name for Irish people, "west men", which subsequently gave its name to the Icelandic island of Vestmannaeyjar. Ireland uses Éire as the country name on both its postage stamps and coinage. Article 4 of the Irish constitution adopted in 1937 by the government under Éamon de Valera states that Éire is the name of the state, or in the English language, Ireland. The Constitution's English-language preamble also described the population as "We, the people of Éire". Despite the fact that Article 8 designated Irish as the "national" and "first official" language, Éire has to some extent passed out of everyday conversation and literature, and the state is referred to as Ireland or its equivalent in all other languages. The name "Éire" has been used on Irish postage stamps since 1922; on all Irish coinage (including Irish euro coins); and together with "Ireland" on passports and other official state documents issued since 1937. "Éire" is used on the Seal of the President of Ireland. Initially after 1937 the United Kingdom insisted on using only the name "Eire" and refused to accept the name "Ireland". It adopted the Eire (Confirmation of Agreements) Act 1938 putting in law that position. At the 1948 Summer Olympics in London the organisers insisted that the Irish team march under the banner "Eire" notwithstanding that every other team was marching according to what their name was in English. 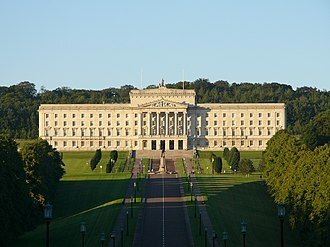 The UK Government used what some Irish politicians stated were "sneering titles such as Eirish". 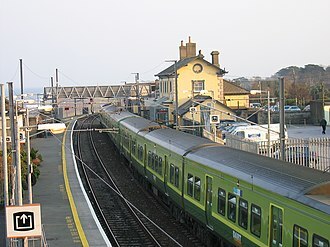 The UK Government would refer to "Eire Ministers" and the "Eireann Army" and generally avoid all reference to "Ireland" in connection with the state. The Ireland Act 1949 changed this to "Republic of Ireland". It was not until after the 1998 Good Friday Agreement that the UK government accepted the preferred name of simply "Ireland", at the same time as Ireland dropped its territorial claim over Northern Ireland. Before the 1937 Constitution, "Saorstát Éireann" (the Irish name of the Irish Free State) was generally used. 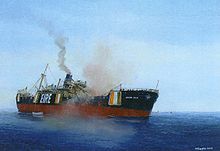 During the Emergency (as World War II was known), Irish ships had "EIRE" (and the Irish tricolour) painted large on their sides and deck, to identify them as neutrals. In the 1947 Sinn Féin Funds case, a co-defendant was cited as the "the Attorney General of Eire" in the High and Supreme Court cases, and there were similar cases where "Eire" was used in the late 1940s as a descriptor of the state in English. In 1922–1938 the international plate on Irish cars was "SE". From 1938 to 1962 it was marked "EIR", short for Éire. In 1961 statutory instrument no. 269 allowed "IRL", and by 1962 "IRL" had been adopted. Irish politician Bernard Commons TD suggested to the Dáil in 1950 that the government examine "the tourist identification plate bearing the letters EIR ... with a view to the adoption of identification letters more readily associated with this country by foreigners". "EIR" is also shown in other legislation such as the car insurance statutory instrument no. 383 of 1952 and no. 82 of 1958. Under the 1947 Convention Irish-registered aircraft have carried a registration mark starting "EI" for Éire. 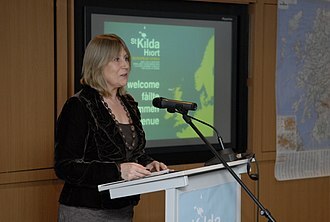 From January 2007, the Irish government nameplates at meetings of the European Union have borne both Éire and Ireland, following the adoption of Irish as a working language of the European Union. The accent has been omitted on most Irish stamps issued over the past ten years in the interests of artistic balance and in accordance with a common practice in the printing of Irish in Roman script for display purposes. This is a prevailing typographical convention and is common to several European languages, including French. Davern considered the spelling Eire to be worse than a misspelling, because eire is a separate word, meaning "a burden, load or encumbrance". The minister stated, "The word on the stamp ... does not mean 'eire' and it is not understood to mean 'eire' by anybody except Davern." Stamps later reverted to a Gaelic type with the accent preserved. In 1938 the British government provided in the Eire (Confirmation of Agreements) Act 1938 that British legislation could henceforth refer to the Irish Free State as "Eire" (but not as "Ireland"). The 1938 Act was repealed in 1981, and in 1996 a British journalist described Eire as "now an oddity rarely used, an out-of-date reference". Founded in 1937, the Eire Society of Boston is an influential Irish-American group. Éire has also been incorporated into the names of Irish commercial and social entities, such as Eir (formerly Eircom and Telecom Éireann) and its former mobile phone network, Eircell. In 2006 the Irish electricity network was devolved to EirGrid. The company "BetEire Flow" (eFlow), named as a pun on "better", is a French consortium running the electronic tolling system at the West-Link bridge west of Dublin. According to the Dublin Companies Registration Office in 2008, over 500 company names incorporate the word Éire in some form. Sometimes the incorporation is used for humorous or ironic effect, such as the sub reddit for Irish software developers named "DevelEire", (a reference to Éamon de Valera) or Cormac Ó Gráda's "Éirvana" paper in 2007 on the Celtic Tiger economy (a reference to Nirvana). ^ "Celtic Lexicon - University of Wales". 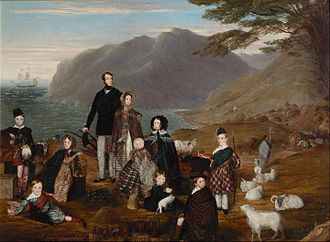 www.wales.ac.uk. ^ Forbes, John (1848), The Principles of Gaelic Grammar (2nd ed. ), Edinburgh: Oliver and Boyd, p. 160, The Celtic words ì, inns, an island, will forma key to the etymology of the names of many insular and peninsular places in the world; as, Ile, Islay. Jura or Iura, Jura. 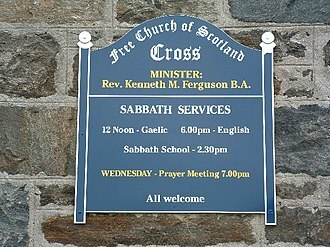 Uist, Uist, Inchkeith, isle of Keith. Eireinn, or Eirionn, ì-iar-fhónn, wetland isle; Ireland. ^ Hamilton-Bowen, Roy (2009). Roy Hamilton-Bowen, ed. Hibernian Handbook and Catalogue of the Postage Stamps of Ireland. Rodgau, Germany: Rodgau Philatelic Service GmbH. ^ O'Leary, Jennifer (9 March 2012). "Celebrating champions". Archived from the original on 6 May 2015 – via www.bbc.com. ^ (eISB), electronic Irish Statute Book. "electronic Irish Statute Book (eISB)". www.irishstatutebook.ie. Archived from the original on 19 May 2015. ^ Buckley and others v. the Attorney General of Eire and Charles Stewart Power, 1 Irish Reports , 57. ^ SI 269 of 1961:"...the letters EIR are used to indicate the name of the State but the letters IRL may be substituted therefor." ^ "Dáil Éireann – Volume 119 - 22 March, 1950 – Ceisteanna—Questions. Oral Answers. – Motor Identification Letters". Historical-debates.oireachtas.ie. 22 March 1950. Archived from the original on 7 June 2011. Retrieved 26 March 2010. ^ "SI 82 of 1958 text". Irishstatutebook.ie. 31 December 1959. Archived from the original on 20 February 2009. Retrieved 26 March 2010. ^ "SI 383 of 1952". Irishstatutebook.ie. Archived from the original on 20 February 2009. Retrieved 26 March 2010. ^ a b c "Ceisteanna—Questions. Oral Answers. - Irish Postage Stamps". 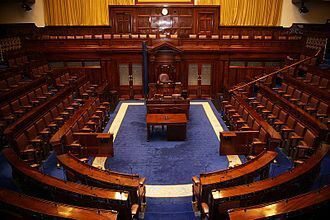 Dáil debates. 271 (8): 38 cc.1140–1. 28 March 1974. Archived from the original on 11 May 2018. ^ "Foclóir Gaeilge-Béarla (Ó Dónaill, 1977)". ^ Wilson, John (1996). Understanding journalism: a guide to issues. Routledge. 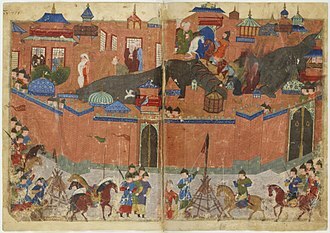 p. 269. ISBN 9780415115995. Retrieved 29 May 2013. ^ "eir homepage". Eir.ie. 29 November 2006. Archived from the original on 21 September 2015. Retrieved 26 March 2010. ^ "National Roads Authority statement 2007". Nra.ie. Archived from the original on 23 August 2010. Retrieved 26 March 2010. ^ "CRO search page". Cro.ie. Archived from the original on 29 December 2010. Retrieved 26 March 2010. ^ "r/DevelEire". reddit. Archived from the original on 30 January 2016. ^ "Some recent social changes are not easily linked with the Tiger per se" (PDF). Archived (PDF) from the original on 15 June 2011. Retrieved 26 March 2010. Look up Éire in Wiktionary, the free dictionary. The Emergency was the state of emergency which existed in the state of Ireland during the Second World War. 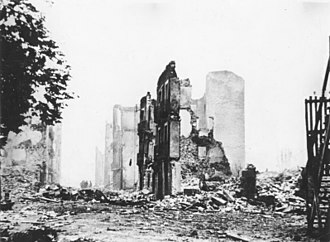 The state of Ireland remained neutral throughout the war, the Emergency has been used metonymically in historical and cultural commentary to refer to the state during the war. The state of emergency was proclaimed by Dáil Éireann on 2 September 1939 and this gave sweeping new powers to the government for the duration of the Emergency, including internment, censorship of the press and correspondence, and government control of the economy. 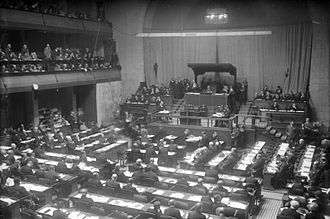 The Emergency Powers Act lapsed on 2 September 1946, although the state of emergency itself was not rescinded until 1 September 1976, no emergency legislation was ever in force after 1946 to exploit this anomaly. On 6 December 1922, following the Anglo-Irish Treaty that ended the War of Independence, on 8 December 1922, the parliament of the six north-eastern counties, already known as Northern Ireland, voted to opt out of the Irish Free State and rejoin the United Kingdom. 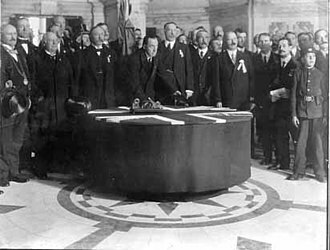 This Treaty settlement was followed by the bitter Irish Civil War between the pro-Treaty and anti-Treaty factions of the Irish Republican Army. After 1932, the party of the new state was the republican Fianna Fáil. In 1937, de Valera introduced a new constitution, which had distanced the state further from the United Kingdom, in 1932–38 he had conducted the Anglo-Irish Trade War. De Valera had good relations with the British Prime Minister, Neville Chamberlain, the major remaining disagreement between the countries was the status of Northern Ireland. The Irish saw it as rightfully Irish territory while the UK saw it as rightfully British territory, within Ireland itself, armed opposition to the treaty settlement took the name of the anti-treaty IRA, seeing itself as the true government of Ireland. 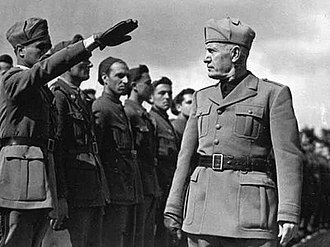 This IRA mounted armed attacks both in Great Britain and Ireland, on September 1,1939, German troops invaded Poland, precipitating war with the UK and France, and their allies. 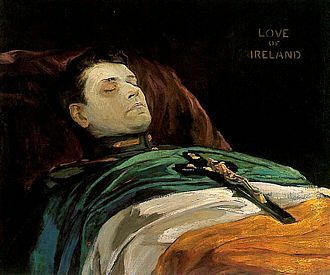 On 2 September, de Valera told the Dáil Éireann that neutrality was the best policy for the country, in this he was almost universally supported by the Dáil and the country at large. The 1937 constitution was amended to allow the Government to take emergency powers, the government was able to take control of the economic life of the country under the new Minister of Supply Seán Lemass. Liberal use was made of all of these powers, Internment of those who had committed a crime or were about to commit one would be used extensively against the IRA. Censorship was under the charge of the Minister for the Co-ordination of Defensive Measures, in addition, the information made available to Irish people was carefully controlled. De Valera performed the duties of Minister of External Affairs, though the secretary for the Department of External Affairs and he travelled to London on 6 September where he met the Dominions Secretary, Anthony Eden, who was conciliatory and defended Irish neutrality in subsequent Cabinet meetings. In addition, the appointment of Sir John Maffey as a British representative in Dublin was agreed, for the Irish government, neutrality meant not displaying alignment with either side. The national flag of Ireland – frequently referred to as the Irish tricolour – is a vertical tricolour of green and orange. The proportions of the flag are 1,2, the Irish government has described the symbolism behind each colour as being that green represents the older Gaelic tradition while the orange represents the supporters of William of Orange. 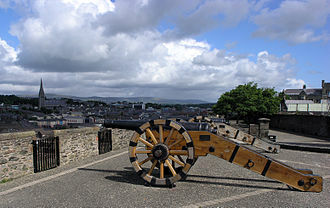 The white in the centre signifies a lasting truce between the Orange and the Green, Meagher was the son of Newfoundland-born mayor of Waterford, Thomas Meagher Jr. The flag was adopted in 1916 by the Easter Rising rebels and its use was continued by the Irish Free State and it was given constitutional status under the 1937 Constitution of Ireland. The tricolour is used by nationalists on both sides of the border as the flag of the whole island of Ireland since 1916. Thus it is flown by nationalists in Northern Ireland as well as by the Gaelic Athletic Association. In relation to the flag of Ireland, the Constitution of Ireland simply states in Article 7, The national flag is the tricolour of green, white. As there are no statutory requirements in relation to the flag. In its advisory role, the Department has issued guidelines to assist persons in their use of the national flag, the flag should be rectangular in shape and its length should be two times its width, translating into an aspect ratio of 1,2. The three coloured pales — green and orange — should be of size. Provided that the proportions are observed, the flag may be made to any convenient size. The green pale in the flag symbolises Irish republicanism dating back to the Society of United Irishmen in the 1790s and his title came from the Principality of Orange in the south of France that had been a Protestant bastion from the 16th century. It was included in the Irish flag in an attempt to reconcile the Orange Order in Ireland with the Irish independence movement, the white in the centre signifies a lasting truce between the two cultures and a living together in peace. There are exceptions to the general beneficent theory, Green was used as the colour of such Irish bodies as the mainly-Protestant and non-sectarian Friendly Brothers of St.
Erin is a Hiberno-English derivative of the Irish word Éirinn. The dative has replaced the nominative in a few regional Irish dialects and nineteenth-century Irish nationalists used Erin in English as a romantic name for Ireland. According to Irish mythology and folklore, the name was given to the island by the Milesians after the goddess Ériu. Erin go bragh, a slogan dating from the 1798 revolution, is translated as Ireland forever. The etymology of the word as it drifted throughout the Gaelic region gave rise to its use by the early Scots to both mean Ireland and west - as Ireland lies to the west of Scotland. As a given name, Erin is used for both sexes, given its origins, it is used as a feminine forename. It first became a popular name in the United States. Its US popularity for males peaked in 1974 with 321 boys registered with the name, Erin is a name for Ireland in Welsh, and is one of the 20 most popular girls names in Wales. As a family name, Erin has been used as one of the spellings of the name of the Scottish clan Irwin - which was involved in the Scottish Plantations of Ireland. There have been various names for the state that is today officially known as Ireland. The state makes up almost five-sixths of the island of Ireland, Northern Ireland, a part of the United Kingdom, covers the rest of the island. When the state was created in 1922 it was named the Irish Free State, in 1937 it adopted a new constitution which claimed all of Ireland as its territory, becoming Ireland in English and Éire in Irish, although the latter was often used in English too. In 1949 it declared itself a republic and adopted the term Republic of Ireland as its official description while keeping the name Ireland. The terms Republic of Ireland, the Republic or the South are often used when there is a need to distinguish the state from the island or when Northern Ireland is being discussed. Article 4 of the Constitution of Ireland, adopted in 1937, provides that he name of the State is Éire, or, in the English language, the Irish state has two official names, Éire and Ireland. For official purposes, including in international treaties and other documents, and where the language of the documents is English. The same is true in respect of the name Éire for documents written in Irish, the name of the state is reflected in its institutions and public offices. For example, there is a President of Ireland and a Constitution of Ireland, some Irish people disfavour or disapprove of the use of the name Eire in English texts or speech. Since 1949 the Republic of Ireland Act has provided that the Republic of Ireland is the description for the state. However, Ireland remains the name of the state. The constitutional name Ireland is normally used, the legal description Republic of Ireland is sometimes used when disambiguation is desired between the state and the island of Ireland. In colloquial use this is shortened to the Republic. This distinction between description and name was and remains important because the Act was not a constitutional amendment, if it had purported to do so, it would have been unconstitutional. The distinction between a description and a name has caused confusion. In contrast, other republics, like Ireland and Hungary do not do so, the state joined the European Economic Community in 1973. Postage stamp may refer to a formatting artifact in the display of film or video, Windowbox. A postage stamp is a piece of paper that is purchased and displayed on an item of mail as evidence of payment of postage. Typically, stamps are printed on special paper, show a national designation and a denomination on the front. They are sometimes a source of net profit to the issuing agency, stamps are usually rectangular, but triangles or other shapes are occasionally used. The stamp is affixed to an envelope or other postal cover the customer wishes to send, the item is processed by the postal system, where a postmark, sometimes known as a cancellation mark, is usually applied in overlapping manner to stamp and cover. This procedure marks the stamp as used to prevent its reuse, in modern usage, postmarks generally indicate the date and point of origin of the mailing. The mailed item is delivered to the address the customer has applied to the envelope or parcel. Postage stamps have facilitated the delivery of mail since the 1840s, before then and hand-stamps, usually made from wood or cork, were often used to frank the mail and confirm the payment of postage. 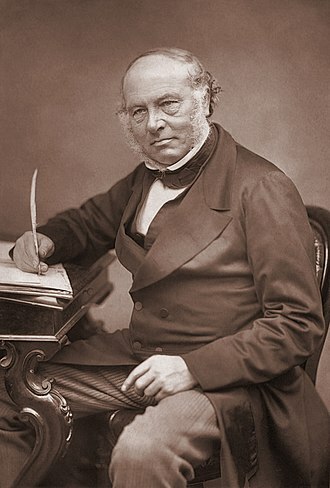 The first adhesive postage stamp, commonly referred to as the Penny Black, was issued in the United Kingdom in 1840, there are varying accounts of the inventor or inventors of the stamp. The postage stamp resolved this issue in a simple and elegant manner, concurrently with the first stamps, the UK offered wrappers for mail. S. Postal service for priority or express mailing, the postage stamp afforded convenience for both the mailer and postal officials, more effectively recovered costs for the postal service, and ultimately resulted in a better, faster postal system. With the conveniences stamps offered, their use resulted in greatly increased mailings during the 19th and 20th centuries, as postage stamps with their engraved imagery began to appear on a widespread basis and collectors began to take notice. The study of stamps and their use is referred to as philately. Stamp collecting can be both a hobby and a form of study and reference, as government-issued postage stamps. The postage for the item was prepaid by the use of a hand-stamp to frank the mailed item. 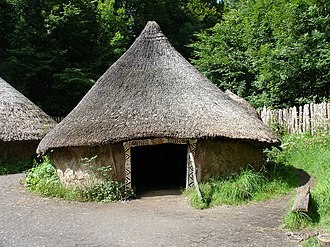 The Iverni were a people of early Ireland first mentioned in Ptolemys 2nd century Geography as living in the extreme south-west of the island. He locates a city called Ivernis in their territory, and observes that this settlement has the name as the island as a whole. The name Iverni has been derived from Proto-Indo-European *PiHwerjoHn, the fertile land and it was probably once the name given to all the peoples of Ireland, but by Ptolemys time had a more restricted usage applicable to the inhabitants of the south-west. These Iverni can be identified linguistically with the Érainn, a people attested in Munster, the prehistoric Érainn royal dynasties are sometimes referred to as the Dáirine. In early Irish genealogical tracts the Érainn are regarded as an ethnic group, the Dál Riata and Dál Fiatach in Ulster are considered Érainn. The most important of the Munster Érainn, the Corcu Loígde, the Déisi Muman may have had Érainn origins, but this has long been disputed. It seems likely the Iverni were related to the Darini of eastern Ulster, an early name for Dundrum, County Down, is recorded as Dún Droma Dáirine, and the name Dáirine was applied to the Corcu Loígde, further suggesting a relationship between the Darini and the Iverni. The 1948 Summer Olympics, officially known as the Games of the XIV Olympiad, were an international multi-sport event which was held in London, United Kingdom. After a 12-year hiatus because of World War II, these were the first Summer Olympics since the 1936 Games in Berlin, the 1940 Games had been scheduled for Tokyo, and for Helsinki, the 1944 Games had been provisionally planned for London. 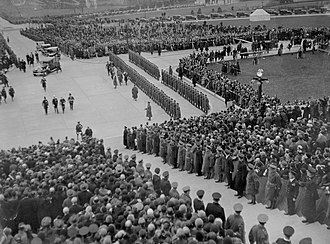 This was the occasion that London had hosted the Olympic Games. The 1948 games were the first of two summer Olympic Games under the IOC presidency of Sigfrid Edström, the event came to be known as the Austerity Games, because of the economic climate and post-war rationing. No new venues were built for the games, and athletes were housed in existing accommodation in the Wembley area instead of an Olympic Village, as were the 1936 Games and the subsequent 1952 Games. A record 59 nations were represented by 4,104 athletes,3,714 men and 390 women and Japan were refused permission to participate, the USSR was invited but chose not to send any athletes. The United States team won the most total medals,84, the host nation won 23 medals, three of them gold. One of the performers at the Games was Dutch sprinter Fanny Blankers-Koen. Dubbed The Flying Housewife, the 30-year-old mother of two won four medals in athletics. In the decathlon, American Bob Mathias became the youngest male ever to win an Olympic gold medal at the age of 17, the most individual medals were won by Veikko Huhtanen of Finland who took three golds, a silver and a bronze in mens gymnastics. In June 1939, the International Olympic Committee awarded the 1944 Olympic Summer Games to London, ahead of Rome, Budapest, Helsinki, World War II stopped the plans and the Games were cancelled so London again stood as a candidate for 1948. Britain almost handed the 1948 games to the USA due to financial and rationing problems. The official report of the London Olympics shows that there was no case of London being pressed to run the Games against its will. As a result, a committee was set up by the British Olympic Council to work out in some detail the possibility of holding the Games. 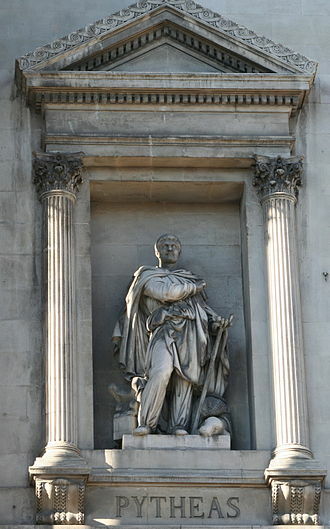 Pytheas of Massalia, was a Greek geographer and explorer from the Greek colony of Massalia. He made a voyage of exploration to northwestern Europe in about 325 BC, in this voyage he circumnavigated and visited a considerable part of Great Britain. He is the first person on record to describe the Midnight Sun, the theoretical existence of a Frigid Zone, and temperate zones where the nights are very short in summer and the sun does not set at the summer solstice, was already known. Similarly, reports of a country of perpetual snow and darkness had reached the Mediterranean some centuries before, Pytheas is the first known scientific visitor and reporter of the Arctic, polar ice, and the Germanic tribes. He introduced the idea of distant Thule to the geographic imagination, Pytheas may have reached Iceland. Pliny says that Timaeus believed Pytheas story of the discovery of amber, Strabo says that Dicaearchus did not trust the stories of Pytheas. That is all the information that survives concerning the date of Pytheas voyage, some would give Timaeus an extra 5 years, bringing the voyage down to 325 BC at earliest. If one presumes that Pytheas would not have written before reaching age 20, he would have been a contemporary, as they read his writings he must have written toward the earlier years of the window. 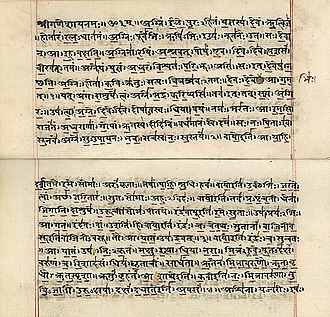 As is common with ancient texts, multiple titles may represent a source, for example. The mainstream today recognizes periplus as a genre of literature and concedes that there was only one work, on the Ocean. Diodorus does not mention Pytheas by name, the connection is made as follows, Pliny reports that Timaeus says there is an island named Mictis … where tin is found, and to which the Britons cross. Diodorus says that tin is brought to the island of Ictis, the last link is supplied by Strabo, who says that an emporium on the island of Corbulo in the mouth of the Loire was associated with the Britain of Pytheas by Polybius. 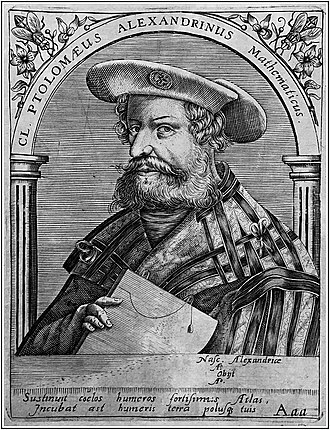 Assuming that Ictis and Corbulo are the same, Diodorus appears to have read Timaeus, who must have read Pytheas, Pytheas was the first documented Mediterranean mariner to reach the British Isles. An Imearlann, the playground in An Rinn. 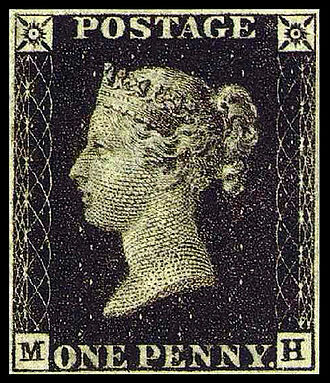 The Penny Black, the world’s first postage stamp. 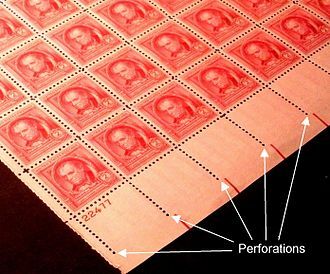 Rows of perforations in a sheet of postage stamps. The front cover of an Irish passport showing the name of the state in its two official languages. An envelope from the Office of the Revenue Commissioners, stating "No Postage Stamp necessary if posted in Republic of Ireland". True-colour image of Ireland, captured by a NASA satellite on 4 January 2003. Scotland, the Isle of Man, Wales and a part of southwest England are visible to the east.